Since Carol joined the military in 1962, when there were legal restrictions on the number of women who could serve in the Air Force, women’s roles in the military have significantly expanded. Today, nearly 2.5 million women serve in the military. 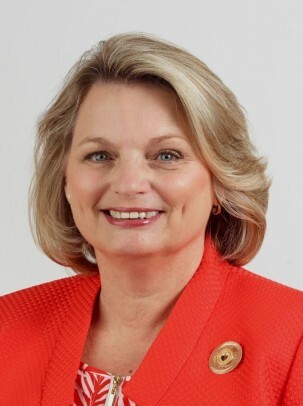 Carol has worked with GFWC and the Women’s Overseas Service League to advocate for women in the military, specifically in raising awareness of the problem of sexual assault in the military. 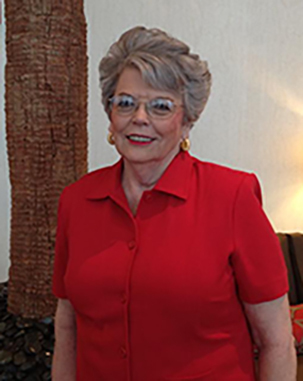 Utilizing the leadership skills she learned as an Air Force Colonel, Carol has served GFWC on the local, state, and national levels. Lessons from a career in the Air Force have transferred into her experience as a clubwoman, as she explains below. Why did you first decide to join GFWC? I retired from the Air Force in 1992 and was looking for something meaningful to occupy my time. I first joined the San Antonio Unit of the Women’s Overseas Service League (WOSL). When I became unit president in 2000, I was advised that I would attend the meetings of the San Antonio Women’s Federation, as our WOSL unit was a member of that city federation since the late 1920s. So I attended every GFWC club meeting beginning in 2000, became active in club, district, and State Federation activities, and in 2003 was invited to become an individual per capital member of GFWC. The rest is history. The more I became involved, the more I realized the value of GFWC. The only surviving member of my immediate family is my older brother who lives in Florida. He has always been supportive of me doing “my thing” whether it was military service or Federation activities. I also have a boatload of nieces and nephews (I lost count at 50) of all generations scattered throughout New Jersey, North Carolina, Florida, and California. They like to brag about Aunt Carol and her service. You served your country as a Colonel in the United States Air Force. Can you tell us more about that experience? So when I enlisted in the Air Force, I was looking not only to serve my country, but also for a meaningful life experience. I had no idea of making it a career at that time. But it gets into your blood, and before I knew it, the Air Force became my life’s career. In 1967, President Lyndon Johnson signed into law a bill that removed many of the restrictions on women. For the first time, promotions for women had no restrictions. Along the way, I moved 12 times, an average of once every two and a half years. I lived in places I would never have dreamed of visiting on my own. I lived in Alaska two years after the devastating earthquake and one year before oil was discovered. I was in Japan for three years. And in between, I visited 14 countries on Air Force business, going to many remote mountaintop communications sites. It was better than Mr. Toad’s wild ride. It was a unique lifetime experience I never expected in 1962. How has serving as a woman in the military impacted your life and your involvement in GFWC? It changed my life, from small town girl to woman of the world, in all the best senses of the word. I not only traveled the world, I got valuable leadership experience. GFWC involvement is really just an extension of that military experience. What I learned in the Air Force has translated very well into GFWC club activity. The principles of leadership are basically the same. What are some lessons you have learned from a career in the Air Force? Never burn your bridges because you don’t know what you will encounter in the future. Trust in your people, whether they are under your supervision or whether they are volunteer clubwomen. Criticize in private, praise in public. Don’t belittle people; treat them as you would like to be treated. Can you talk more about the importance of the GFWC resolution addressing sexual assault of those serving in the armed services? The subject of sexual assault in the military has too often been swept under the rug as “boys will be boys” or “she was asking for it.” In 2006, the Women’s Overseas Service League adopted a resolution focusing on the issue. The League reached out to a dozen of the major veterans organizations, with none even so much as acknowledging the resolution. As an associate member of GFWC, WOSL forwarded the resolution to GFWC, a staunch supporter of the military and particularly women. As a result, GFWC was the first major organization to join WOSL in bringing the issue to the attention of our elected senators and representatives and the general public. The GFWC resolution has focused attention on this issue. Through the GFWC Legislative Action Center, clubwomen around the world are alerted to upcoming legislation relating to this issue. As a result, we have been able to let our elected officials know they need to take action. How can clubs support members of the military? Clubwomen are ardent supporters of the military. 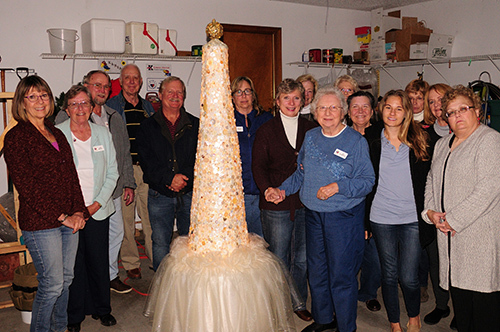 The GFWC Public Issues Community Service Program includes many activities clubs can participate in to support members of the military and their families. Clubs support the many USO programs. They are also involved in their communities in helping military families through the Department of Veterans Affairs, support programs for wounded warriors, and the like. It has made me value the impact of the GFWC volunteer. The challenge is to encourage these volunteers to give of their time and their service without remuneration. Most importantly, it is essential to mentor the future leaders of GFWC at club, district, and state level. Being a leader is so much more that being in command; you also must be willing to follow. Your way may not be the only or the best way. Be open to suggestions.